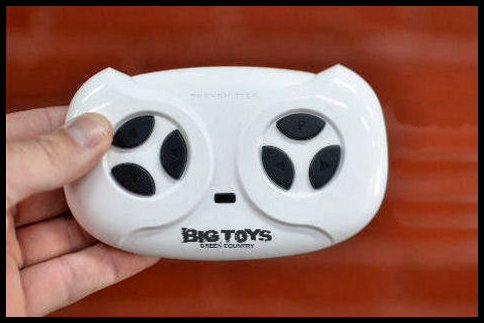 We've purchased these type of toys from Wal-Mart and Amazon in the past. Both of those came in and seemed to look similar, but once we started using them they were never as fast or as powerful as we thought they should be. After a few days of riding, BOTH of them started to break down in different ways. We contacted the sellers to try to get help fixing them, and got no help whatsoever. So when our youngest son got to be old enough for his own, we were a little skeptical about these. We researched and found Big Toys Green Country. Their salesman informed us that these are similar bodies, but have upgraded motors and are more powerful than those purchased elsewhere. We gave them a shot and man, they were right! These drove so much faster than our others and were able to drive pretty much anywhere we wanted! Their customer service is the best difference. We had an issue with the remote only turning left, but not right. They sent us a replacement control box that was very easy to swap, and now it works perfectly! This company really knows how to take care of their customers and their products are great! We'll be buying from them from now on for sure! 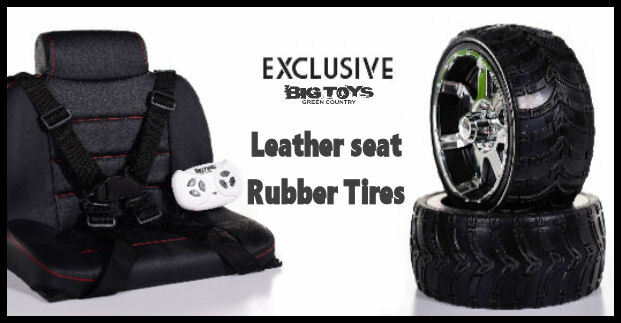 Click the button below to add the Ride on 4x4 Crawler Truck Rubbers Tires + Parental RC Remote -Red to your wish list.